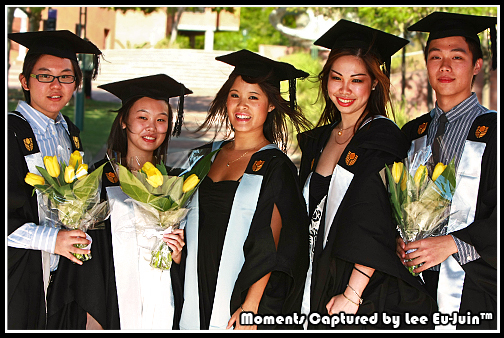 Curtin Graduation Day (Perth, Australia – Day 7) | The marathon that I run..
Our main agenda for coming to Perth is for Today. 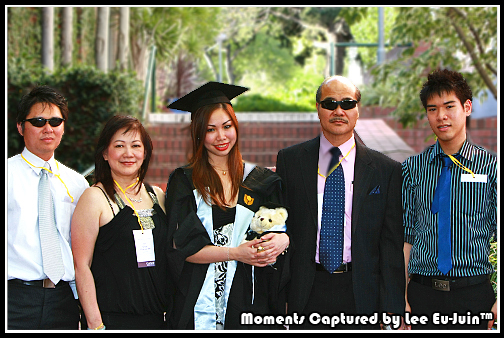 As today is the day where my sister is officially a Curtin University, Bachelor of Science (Food Science) graduate. 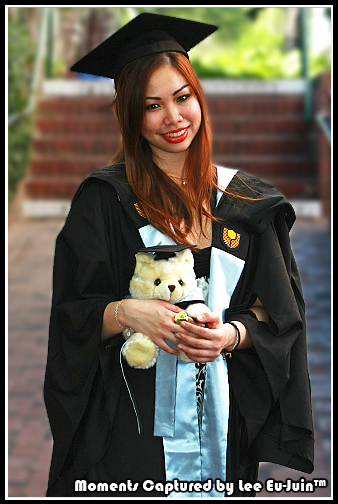 Above is a shot of her, together with her teddy bear (purchased at the university graduation stall), both in their regalia. 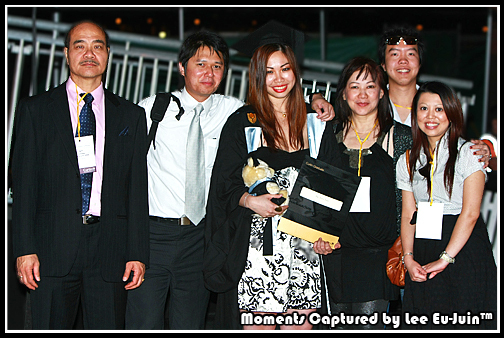 Different graduates of different faculties here at Curtin have their respective sash colours. 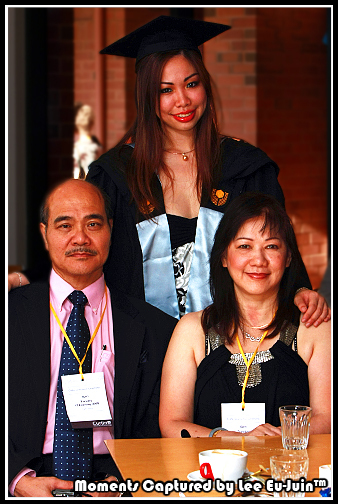 For my sister’s case, the science faculty graduates are symbolized with the aqua sash. Seen above is a picture of my parents with the graduate. Before the commence of the convocation, we managed to take a few shots around the campus of my sister with us, family members and her friends. Above is a family picture taken by Sebastian. 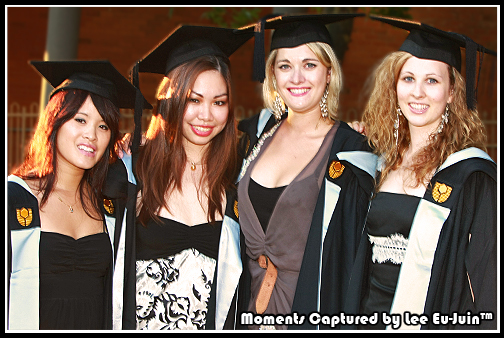 Above are 2 picked group shots of my sister and her peers, who will all be graduating later in the evening today. 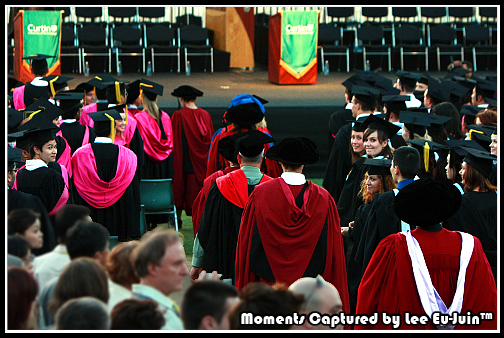 At 7.30 pm sharp, all the professors and deans started to march into the Graduation Arena. Above is a picture taken from a far back, where I was seated with the 70-200 lens. After finishing the singing of the Australian National anthem, we were eventually given the pleasure to be seated. Henceforth, the graduation ceremony begun. Seen above is a shot taken during the opening speech by the chancellor. 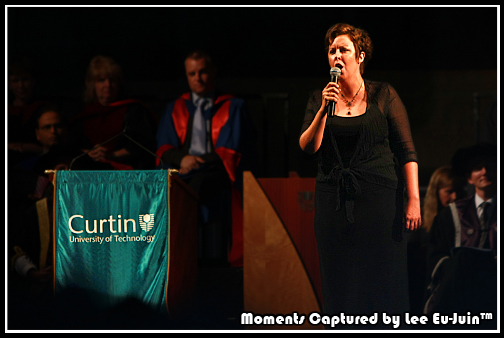 Upon the ending of the scroll awarding proceedings, this graduation ceremony was to be put to a close with a performance by a female vocalist, with her song – Time to say goodbye. 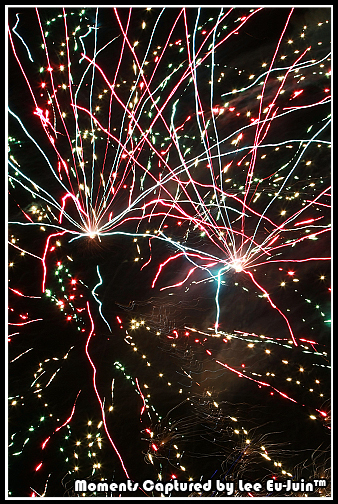 Immediately after the song, fireworks were set blasting into the skies. Unfortunately I lacked the time to swap lenses at that moment, and was only able to take a close up shot of the fireworks display. After the ceremony, we once again got another group picture. This time, with my sister’s Graduation Scroll at hand. I believe that all Su-Yen’s friends and relatives will be extremely proud of her success and achievement. Just for an update, she is currently happily employed by Coca-cola Amatil in Perth, Australia as a Quality Technician. Above is my washed-out sister after a long day’s work in her Coke Zero uniform. Do drop her a note to congratulate her if you’ve got the chance to! Cheers! 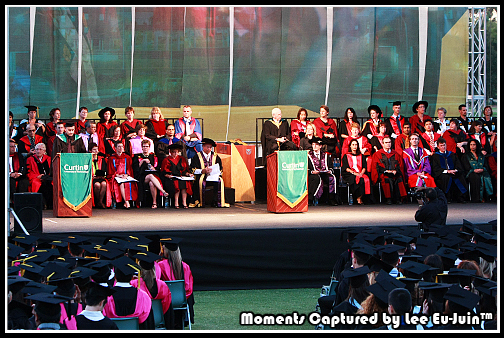 No Response to "Curtin Graduation Day (Perth, Australia – Day 7)"
The marathon that I run.. Life is not a sprint, it is a marathon!